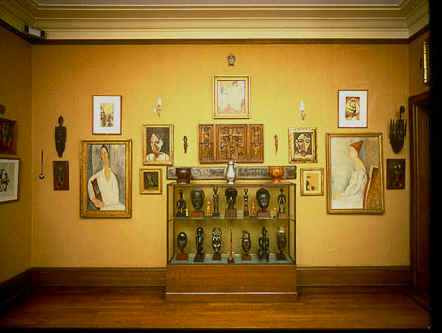 "The Barnes Foundation is the only sane place to see art in America." Yesterday I saw The Art of the Steal, a documentary I had longed to see. It tells the story of the Barnes Foundation, one of the largest private collections of art in America. The Foundation houses what many believe to be the greatest collection of impressionist and post-impressionist art in America. There are paintings by Pablo Picasso, Giorgio de Chirico, El Greco, Francisco Goya, Edouard Manet, Amedeo Modigliani, Jean Hugo, Claude Monet, Maurice Utrillo, Paul Gauguin, Vincent Van Gogh, Maurice Prendergast, as well as 181 works by Pierre-Auguste Renoir, 69 by Paul Cézanne, and 59 by Henri Matisse. The collection also includes ancient Egyptian, Greek, and Roman art, African art and sculpture, and American and European decorative arts and metalwork. 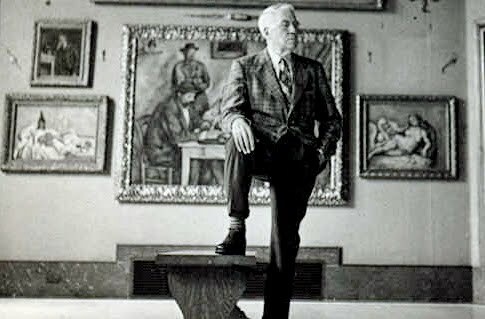 Dr. Albert Barnes was a self made man who became interested in art and education. He collected art and became enthralled with John Dewey's ideas on education. The Barnes Foundation was established to hold his art collection and provide an educational experience for students. In 1923, Dr. Barnes proudly exhibited his collection at the Philadelphia Museum of Art. It was ridiculed by art critics who called his works “nasty” and “primitive”. Dr. Barnes replied, “Philadelphia is a depressing intellectual slum”. 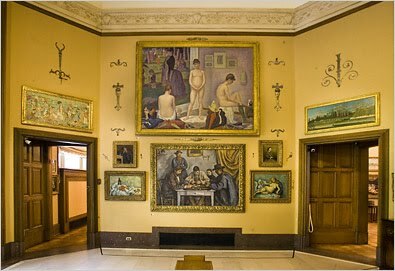 Dr. Barnes dislike the austere single paintings style of most museums, preferring to hang the art in complementary groups with furnishings and decoration together. Barnes had no children, so he drew up a will providing for the Foundation and stipulating that it never be moved, sold, or sent on tour. The documentary details how his wishes were summarily disregarded. 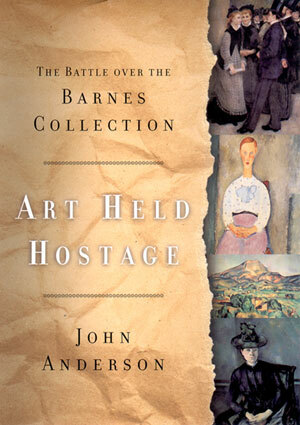 Much of the documentary is based on the book Art Held Hostage by John Anderson. 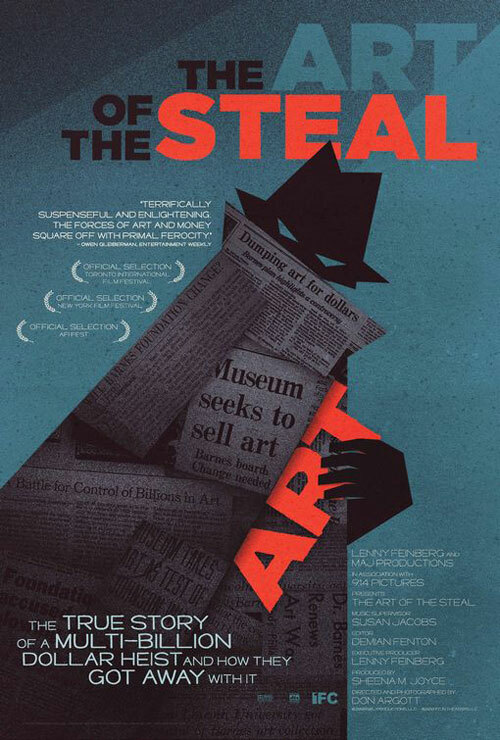 The documentary is a fascinating look into the world of art, or should I say, the world of art vs. the commodity of art. It explores the cozy relationship of politicians and "non-profit" billion dollar charitable foundations. There are issues of race, money, power, law and politics all dancing on the grave of Albert Barnes. It is a giant train wreck and it is impossible to look away. In 1923, the works Barnes collected were dismissed as ugly and primitive. Today those same works are valued at $35 billion dollars. To quote that great philosopher Cyndi Lauper, "Money, money changes everything." there are several in Boston. I make a trip just to go to the museums for two days and Theater. Boston is 4 hours away..